Rep. Ilhan Omar (D-Minn.) thanked supporters Saturday and said she has "unwavering love for America" in response to President Trump's video retweet of remarks she'd made about the 9/11 attacks, edited without the full context. What she's saying: "I did not run for Congress to be silent," she said in one of a series of Twitter posts. "Thank you for standing with me — against an administration that ran on banning Muslims from this country — to fight for the America we all deserve." Context: The video Trump retweeted did not include the full quote Omar made during her March address to the Council on American-Islamic Relations, on how Muslims in the U.S. had "lived with the discomfort of being a second-class citizen." "CAIR was founded after 9/11 because they recognized that some people did something and that all of us were starting to lose access to our civil liberties," she said. The big picture: The retweet comes days after Omar and fellow freshman Rep. Alexandria Ocasio-Cortez (D-N.Y.) said death threats spike with every conservative critique they each receive. Omar said Wednesday women of color are held to a double standard. 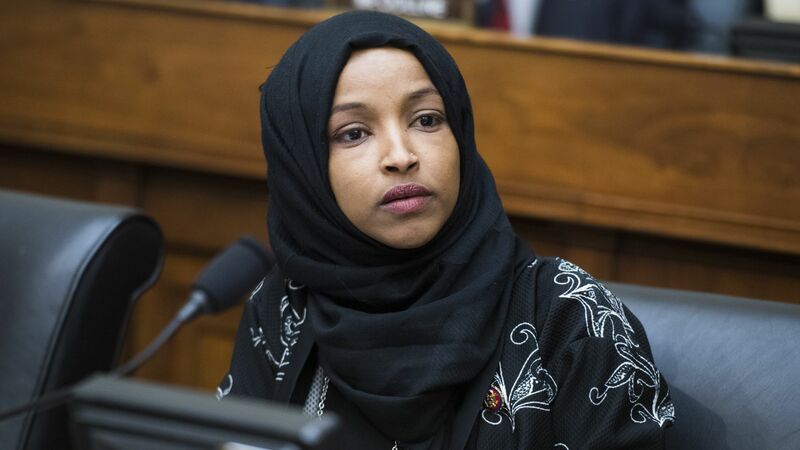 In February, she apologized for remarks she made about Israel, which prompted a House resolution condemning anti-Semitism that was widened to include other forms of bigoted speech.